Indian Motorcycles has filed a recall with the NHTSA that affects as many as 806 units of the company’s 2015 Indian Scout motorcycle for a potential problem with the bike’s rear brakes. The recall is due to the Scout having a fault with the rear brake’s master cylinder which could cause a partial loss in stopping power or even a complete failure of the rear brake. A couple of warranty claims by customers in the US has resulted in the recall. Neither incident resulted in an accident but Indian Motorcycles is issuing the recall as a precautionary measure. “A machining or assembly error made by the component manufacturer may have located the piston retaining groove in an incorrect location,” the probable cause of the defect has been described. Zhejiang Jingke Auto Parts Company, Ltd., based in Quzhou, Zhejiang, China, has been listed as the parts manufacturer. As part of the recall, Indian Motorcycles will notify owners, and dealers will inspect and replace the rear brake master cylinder, if necessary, free of charge. 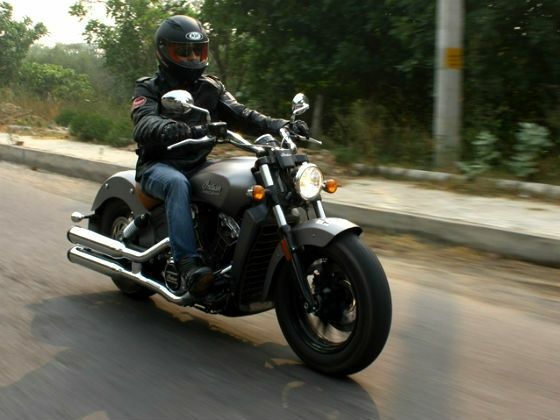 Polaris India, which owns Indian Motorcycles, have told ZigWheels that delivery of Indian Scout bikes have yet to begin in India and as such this recall is not going to affect bikes sold in India.